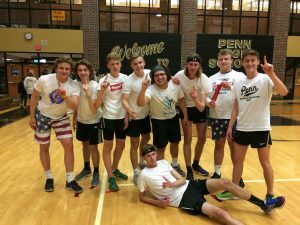 The Penn Dodge Ball tournament raised nearly $2,000 for cancer research by the American Cancer Society. Mr. Galiher and his team get ready for their match. many teams competed on the hardwood of the main arena and the auxiliary team. Teams ranged from middle-school to adult. Geno Hoath, 2018 tournament champion remarked on finishing at the top of the heap. “The victory could have been more satisfying but a win is a win in my head.” Hoath may be referring to how the championship came to be from a boundary violation. The end left a bitter taste in the Boolin’ Boyz mouth, tournament runner ups. 2018 Dodge Ball tournament runner ups. Last year’s tournament ended in sudden death with a dramatic last minute turnaround. 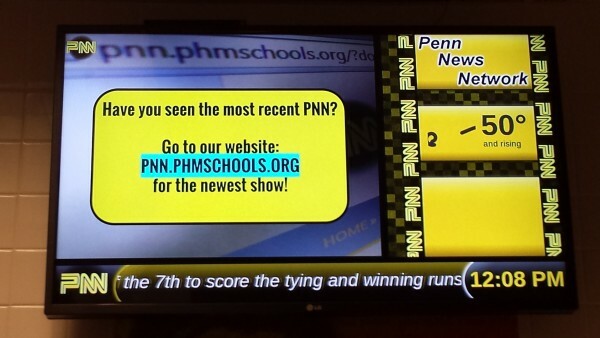 Congratulations to Mr. Ball and his staff on a well run tournament. 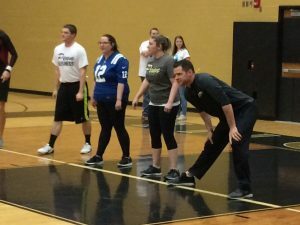 Though he only raised about a tenth of what Mrs. Ball raised in the Penn Dance Marathon, it was a great night that raised money for a great cause. « Come to Chipotle to Support the Speech and Debate Team!